Lightroom Classic Tutorials > Editing Photos > Color Management > Why do my photos look different in Photoshop? 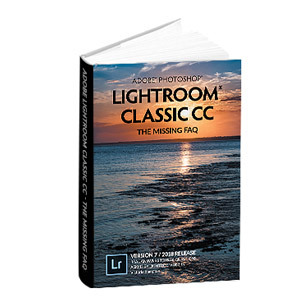 A mismatch in colors between Lightroom and Photoshop is usually due to either a corrupted or incompatible monitor profile or incorrect color space settings. For example, a ProPhoto RGB photo mistakenly rendered as sRGB will display as desaturated and flat. The corrupted monitor profile is very easy to check, and there are instructions here. We’ll also need to confirm that the color spaces match across the 2 programs. The same principles will also apply to opening photos in other software, not just in Photoshop. First, check your color settings. In Photoshop, go to Edit menu > Color Settings to view the Color Settings dialog. The RGB Working Space is your choice, but whichever you choose to use, you’re best to set the same in Lightroom’s External Editor preferences and Export dialog. We’ll come to that in a moment. Selecting Preserve Embedded Profiles and/or checking the Ask When Opening for Profile Mismatches in that same dialog will help prevent any profile mismatches. Preserve Embedded Profiles tells Photoshop to use the profile embedded in the file regardless of whether it matches your usual working space. Ask When Opening for profile mismatches shows you a warning dialog when the embedded profile doesn’t match your usual working space, and asks you what to do. If Preserve Embedded Profile is selected, you can safely leave the two Profile Mismatch checkboxes unchecked. Then you need to set your External Editor settings in the Lightroom Preferences dialog > External Editing tab, and select the same color space that you’ve selected in Photoshop. You’ll also want to check the color space that you’re using in the Export dialog, and again, if passing those photos to Photoshop, select the same color space for photos you’re going to edit in Photoshop. 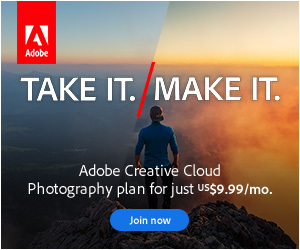 As long as your Photoshop and Lightroom color settings match, or you have Photoshop set to use the embedded profile, your photos should match between both programs. what happens when I export to a print lab? most want sRGB so when to convert and why not just use that color space? Also, if I correct in PS or LR, i should tell the lab not to color correct? What happens if I send corrected file andvthe lab processes it, Will the prints be awful color wise, or will it not make a difference? very confused on this issue! Please advise! thnx! Why use ProPhoto? The main reason is future proofing. Although many labs want sRGB at the moment, there are already printers that can print colors way outside of sRGB. In the future you might want to use a printer with an expanded range, and if you’ve already compressed the image data into a small color space, it’s too late to get it back. When you export the files ready to send to the lab, THEN you export to sRGB, and you tell the lab not to color correct. If your screen’s properly calibrated, and the lab’s looking after their machine calibration, the prints should come back looking like they do in LR/PS. If you’re using colors way outside of sRGB – often really strong reds – then they might be a little more muted (but that would be the case even if you didn’t edit in PS). You can preview those limitations using soft proofing while you’re editing. Following your advice here I have set both my LR & PS colour profile settings to SRGB, however when exporting images from LR into PS, it tells me my image has an embedded Adobe RGB profile. Do you know how I can fix this? It’s tough to say without a bit more information. Which LR and PS versions are you using? And how are you exporting the images from LR to PS? And where it is telling you that it has an embedded Adobe RGB profile? I was soft proofing an sRGB output but was getting completely different results in LR and PS. I know this article doesn’t deal with soft proofing but it helped me track down the problem. In the ‘Customize Proof Condition’ dialog in PS, I had ‘preserve RGB Numbers’ checked and that was the problem, so I unchecked it and all is resolved. I can’t see why I would ever want it on. So may settings, thanks for helping me track it down. PS Great site, been here more than once 😉 ! Well done for tracking it down John! Hi – If I have calibrated my monitor in PS – how do I get that info into LR. When I open them now they are a mismatch. But if I make them both ProPhoto when does my monitor calibration kick in? Monitor calibration isn’t done in Photoshop. It’s done using a monitor calibration hardware device such as i1 Display, Spyder, ColorMunki, etc.